I am so excited to invite you to the Revolutionary Love Conference, April 6-8 in New York City! Together we will mark the 50th anniversary of the assassination of Dr. King and renew our commitment to complete the dream. Our central question: How do we harness love to dismantle racism, poverty, militarism and sexism today? This will be the convening for the movement we are building together. We are proud to co-host the conference with our sister Rev. Dr. Jacqui Lewis at Middle Collegiate Church. It will be a blend of keynotes, panels, break-out sessions, music and song. And it will feature the thought leaders, artists, and activists of our work to #ReclaimLove, including Van Jones, America Ferrera, Parker Palmer, Ani DiFranco, Rev. 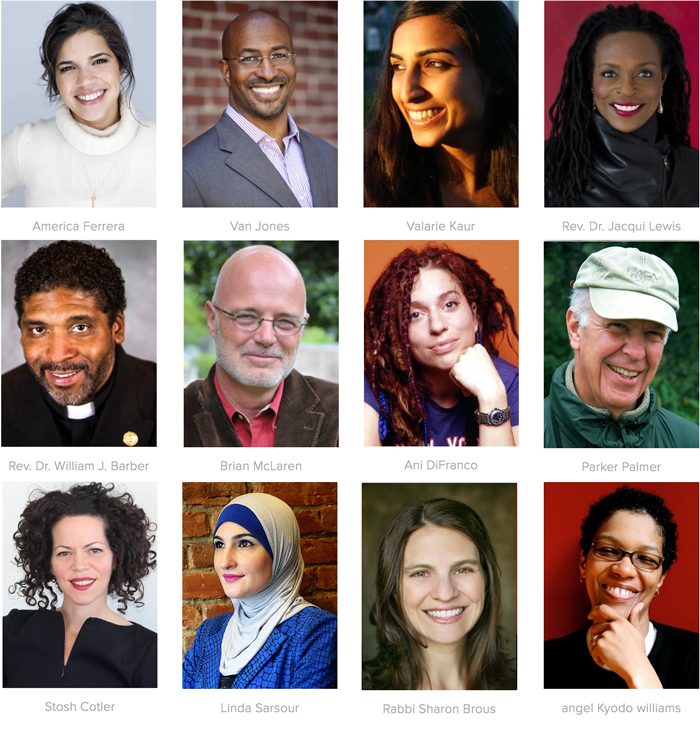 William Barber, Rabbi Sharon Brous, Brian McLaren, Linda Sarsour, Stosh Cotler, angel Kyodo Wiliams and many more. Click here to see the conference schedule. You can join us in two ways — in person or online! If you can attend in NYC, register now with the promotional code RevLove and your registration fee will be lowered to $150. Student and activist rates of $99 are also available. If cost is prohibitive, please let us know. If you can’t make it in person, you can still join us from wherever you are in the country, at no cost. Click here or below to register for the conference for FREE via livestream. Simply enter your contact information and you will receive the livestream link via email as soon as the conference goes live. The road to justice is long. May love sustain us in the struggle.